The Chinese manufacturers are getting stronger and stronger. We are also happy to see that they are fast learners too, as their products are evolving fairly fast. One of the youngest Chinese companies is Foton which builds both trucks and passengers cars. Unlike other compatriots which are known solely in their home market, Foton decided to bet big and plays on an international level selling its vehicles all over the world. However, the company is still working hard to convince us about the quality and reliability of its vehicles, as their Chinese origins aren’t exactly confidence inspiring. The Tunland is the newest pickup build by the company and luckily, it doesn’t look identical with any other existing pickup from the market (in the past Foton was known for its copy and paste designs). 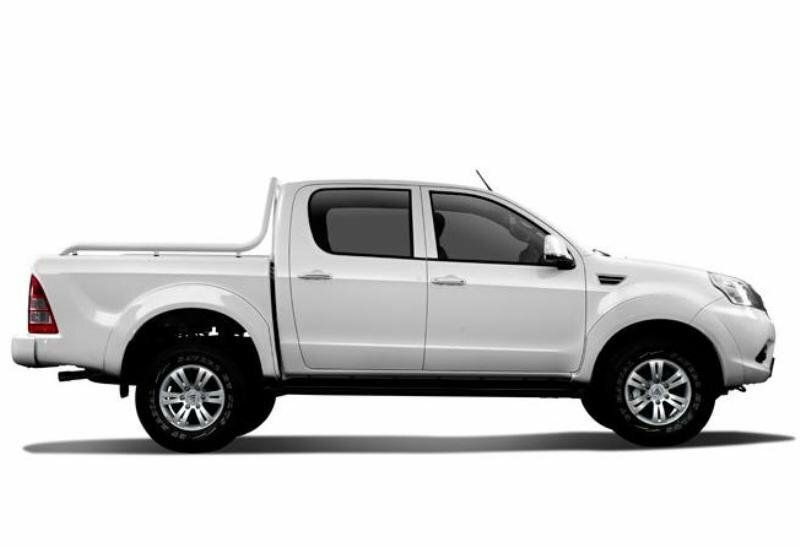 The Tunland is marketed as being the strongest Chinese pickup in its class and joined the one tonne pickup market in 2012. The vehicle is equipped with a 2.8 common rail turbo diesel engine and has a maximum payload of 1040 kg with a maximum towing capacity of 2500 kg. The Tunland it’s offered in both single and dual cab guises. The cargo tub measures 1520mm by 1580mm by 440mm, while the single cab’s load bed is 2315 mm long. Foton came up with a pretty nice design for its new Tunland, offering a perfect mix between style and practicality. Surprisingly, the Foton Tunland looks less Chinese than expected and except for the fancy radiator grille the rest of the truck lines seem to be an interesting mix between the American and Japanese styles. We also like the big headlights as they have a pretty nice style which is not too in your face, but at the same time, it has anything it needs to be noticed. 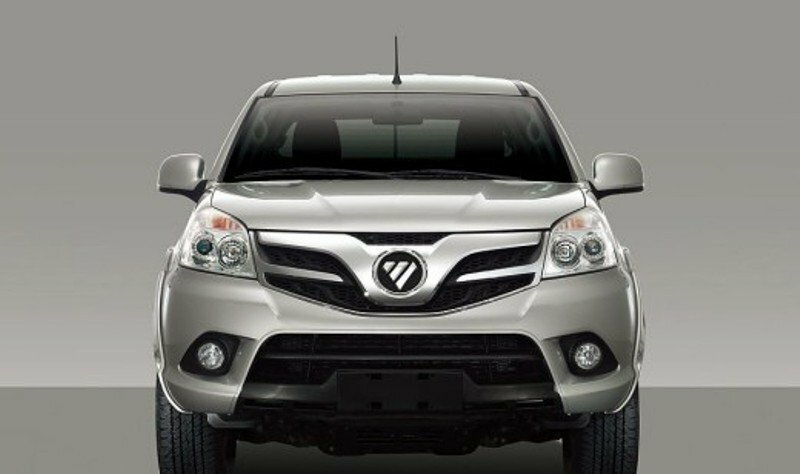 The front bumper is certainly an eye catcher and comes with a fluid design, being fitted with a set of circular fog lamps and a big trapezoidal air intake which enhances the aggressive look of the vehicle. Along the sides you’ll find the classical oversized wheel arches which are now a common trait among pickups, while at the back there is a pair of triangular shaped taillights which failed to catch our interest as their odd shapes looks a bit out of place. Foton tried to make the cockpit look as upscale as possible and we’ll have to admit that we like the wing shaped dashboard and the ergonomic three spoke steering wheel. You also have plenty of space and on the first row of seats there is enough leg and head room for both the driver and passenger. The rear bench is pretty spacious as well, yet it doesn’t offer the same amount of room as the Toyota Hilux. Every control is placed intuitively and the center dash isn’t cluttered at all. The materials and plastics are also better than expected, although some of those Chinese hard plastics are still surfacing. The instrument panel has a no nonsense layout and its big gauges can be easy read during both night and day. The seats are pretty comfortable too, and there are plenty adjustments to help you find your favorite driving position in no time. 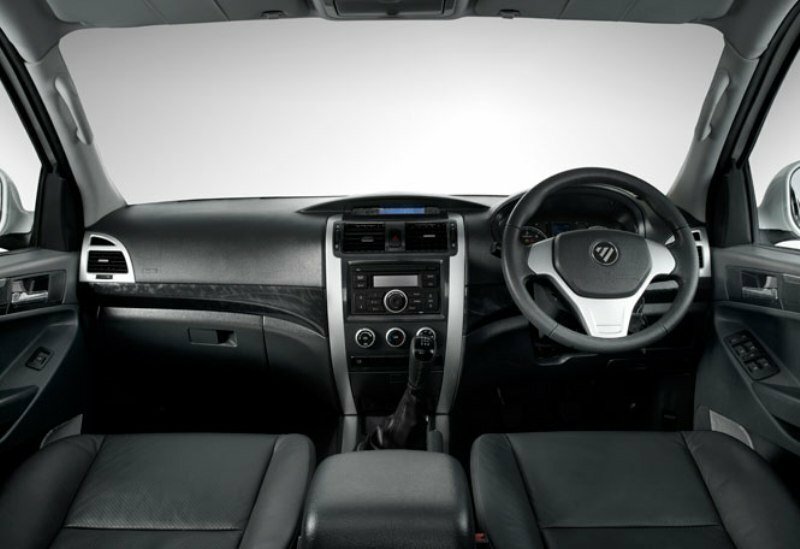 The all around visibility is part of the first class and you can also rely with confidence on the big lateral mirrors. Standard equipment includes air-conditioning, cloth seats, power exterior mirrors, a two-speaker single-CD tuner and auxiliary audio input jack. The Foton Tunland it equipped with a 2.8-litre, 4-cylinder common-rail turbo diesel which develops a maximum power of 160 hp and 360Nm of torque. The engine isn’t as lively as its American or Japanese rivals, but it has enough grunt to deal great with the necessities of an utilitarian vehicle and offers decent performances. Moreover, its flat torque curve provides enough pulling power to permit you to deal effortless with heavy weights too. The engine is mated on a five speed manual gearbox which offers decent performances with pretty smooth turns. On the other hand, the 4cylinder diesel isn’t as smooth as expected and its noise enters the cabin like it owns the place. The vehicle was especially developed to carry big loads, so the suspensions are more on the stiffer side of things. However, like most trucks of its ilk, the Foton Tunland body balance would settle when it carries some heavy load at the back, but otherwise you’ll feel every bump of the road. Braking power is at par with what you’d usually find in this segment and is assured by discs at the front and drums at the rear. The steering is overly light and treats you with pretty poor feedback, but at least, at higher speeds will gain some weight. Since its first days as a vehicles manufacturer, Foton has come a long way and its new Tunland has anything it needs to make a compelling case for itself. It’s true that the vehicle is still behind its rivals from Toyota, Nissan or Ford, but compared to its Chinese counterparts it’s certainly a big step forward. The cabin has a decent build quality with adequate plastics and materials and offers a pretty good level of comfort. The load bed it’s also pretty big and can deal with voluminous loads without problems. 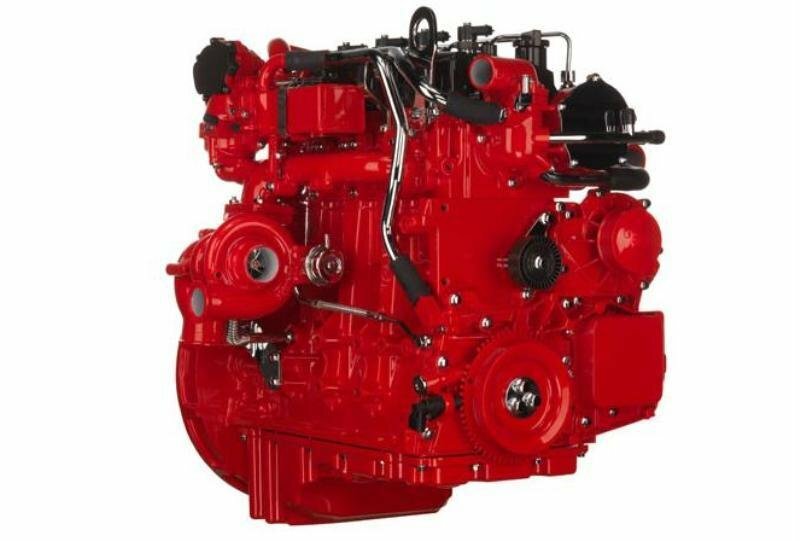 You won’t have any significant complains about the engine either as it’s perfectly qualified for utilitarian applications. Though, the ride and handling are Tunland’s main faults as the vehicle isn’t in the same league with the Ford Ranger or Toyota Hilux. 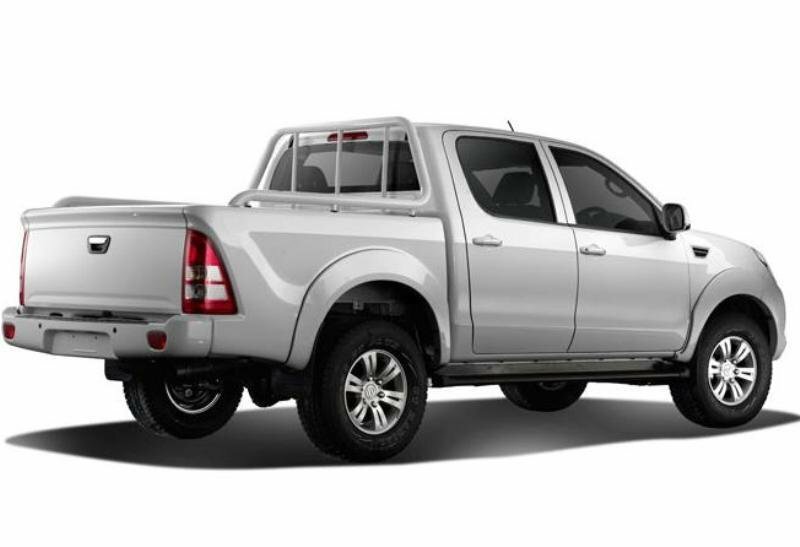 On the other hand the Foton Tunland is also slightly cheaper than most of its rivals.